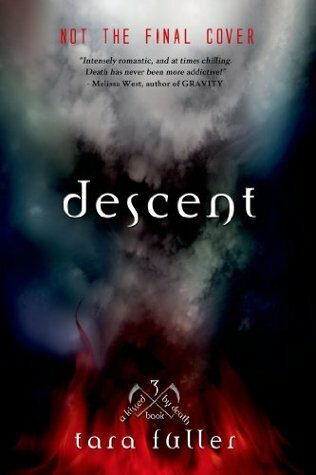 Descent is by far the best book in this trilogy. I absolutely loved getting to know Easton and Gwen. They developed organically throughout the story. The plot was full of suspense, and the pacing was spot on. Fuller's descriptions and world building were fantastic, and her writing was top notch. I'd recommend this book to just about anyone. Gwen was a really cute character, and I enjoyed reading from her perspective. There was much more to her than one would expect. Easton was also incredibly complex, and I was glad we finally got to know him better. He was such a tortured guy, but still good, somehow. Scout wasn't my favorite secondary character, but he was okay. The rest of the characters weren't incredibly developed, but they didn't really need to be. They each had their own personality, we just didn't get to hear much about them. The plot was fast paced and full of adventure. I was on the edge of my seat most of this novel, and Fuller did an excellent job of painting the horrors of hell. Her descriptions made it to where I could clearly picture how horrifying that place was. Also, her world building was top notch. Everything made sense, and I was easily able to achieve willing suspension of disbelief. The ending tied things up nicely and was a fantastic conclusion to this trilogy. Overall, I'd recommend this book to anyone who enjoys angel and demon stories. It's a little bit different, and you can read it as a stand alone or as part of the trilogy.